Amazon just announced the new Kindle DX – the Wireless Reading device! What’s new in Kindle DX? 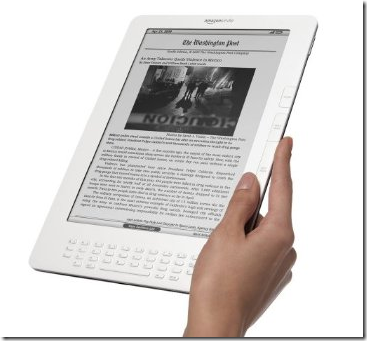 Plus, it shares the same functionality that has made the previous 6” Kindle one of the best-selling e-reader device. Kindle DX can be pre-ordered now well before it is set to be released on Jan 19, 2010! With the Kindle Store having over 400,000 books, newspapers, magazines and blogs you will never run out of content you can read in your Kindle! Plus, with the Kindle iPhone app you catch up on reading where you left off in your bedside to your iPhone while you commute to work. You can do the same in your PC, Mac or even Blackberry.